This research study explores a teacher pipeline program intent on developing critical educators among minoritized high school students aspiring to become teachers. Critical educators typically employ critical perspectives, foreground the notion of cariño, and possess agentive qualities to create transformative learning experiences for students of color, especially in under-resourced communities. This teacher pipeline program leverages youth participatory action research (YPAR) as a pedagogy for minoritized high school students to engage in original research studying critical educators in their schools. Findings illustrate that through YPAR, young people surface key perspectives aligned with those of critical educators: the role of institutionalized racism in exacerbating the opportunity gap and the centrality of building relationships in classrooms. 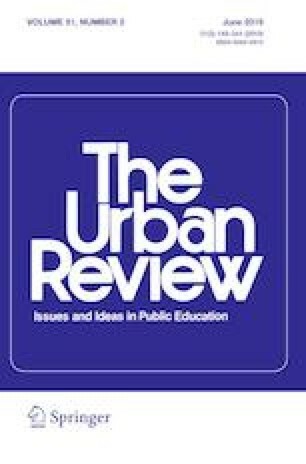 In the discussion, the author elaborates on how YPAR advances the pedagogy in teacher pipeline programs, promotes critical perspectives amongst secondary students, and positions these emergent teachers to envision critical educators as making a substantive difference in the lives of marginalized students. The author concludes with implications for educational leaders in P-20 settings to consider in the promotion of a critical educators of color pipeline. CERRA—Home. (n.d.). Retrieved September 19, 2017 from http://www.cerra.org/. Salinas, C. (2001). El Colegio Altamirano (1897–1958): New histories of Chicano education in the southwest. In The educational forum (Vol. 65, pp. 80–86). Taylor & Francis. https://doi.org/10.1080/00131720008984465.